Welcome back, Anti Fed Ed Warriors, it’s Part Two of my look at the 2020 Presidential race. In Part One, you not only got a feel for how I am putting the series together, but a close up look at the Senators running for the Oval Office. Today, the close up is on Representatives (and former DC leaders)?? As you saw in Part One, there are 20 candidates who have announced their candidacy and at least 13 others considering running. In both groups, you have current and former public servants and private citizens. Below is the screen shot from Part One for the federal public servants. Note the Representatives for today’s article. Rep. Ryan has 20 current education bills (or related) and one House Resolution which relates. Reps. Moulton, Swalwell, and Gabbard share co-sponsorship of HR 1, 5, 6, and 1784. They also voted ‘yes’ to HR 1’s final House vote. Rep. Amash voted ‘no’ to HR 1. Reps. Moulton and Swalwell share co-sponsorship of HR 51 and HR 865. Reps. Gabbard and Moulton share co-sponsorship of HR 728. Reps. Gabbard and Swalwell share co-sponsorship of HR 1384. Rep. Swalwell shares co-sponsorship of HR 1733. Rep. Moulton is the sponsor of HR 1733. Rep. Moulton shares co-sponsorship of HR 1109 and HR 1170. **Note: HR 1 also embeds the automatic protection of the U.S. Dept. 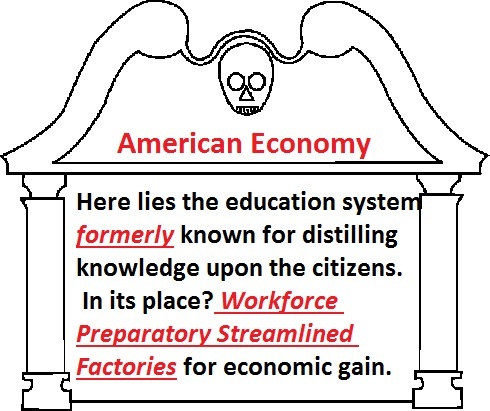 of Education (and other agencies) in the event of a disaster (natural or man-made). Rep. Swalwell shares co-sponsorship of HR 590. Reps. Ryan and Gabbard share co-sponsorship of HR 873. Rep. Ryan shares co-sponsorship of HR 1058. Rep. Gabbard shares co-sponsorship of HR 1943. Rep. Gabbard is also the sponsor of HR 1587. Rep. Gabbard has 7 Education related bills. Her education stance was featured in Part One. Reps. Moulton, Swalwell, and, Ryan share co-sponsorship of HR 860. Rep. Moulton shares co-sponsorship of HR 674. Rep. Swalwell has 6 education related bills. His education/workforce stance can be found here. Rep. Moulton shares co-sponsorship of HR 9 and HR 1368. Rep. Amash has 2 education related bills. Warriors, as I pointed out in Part One, while voting ‘no’ to ESSA (Every Student Succeeds Act) was a good thing, it appears that’s been cast aside. Why would I say that? Look above, do you see the support for school vouchers? School vouchers are a big part of, not only ESSA, but current federal budgets! From BallotOPedia, you can see he previously voted ‘yes’ to the Tax Cuts and Jobs Act. That Act has been kept in place. So how does it connect to education? Creating more P3s (Public Private Partnerships) in education, at all ages! The first bill Rep. Amash has co-sponsored is HR 899, it’s the one bill which would shut down the U.S. Dept. of Education by Dec. 31, 2020. While I do agree the U.S. Dept. of Education should be shut down, it is absolutely NOT prudent to shut it down without REPEALING ESSA (Every Student Succeeds Act), first. The Second bill is HR 1910, which would end the Import/Export Bank. While that’s a good thing (for education), It’s doubtful this bill will pass. To see his education stance (and it’s pretty awful), go here. As a ‘bonus’ you’ll even see he mentions some of his work in education while he was in the House. 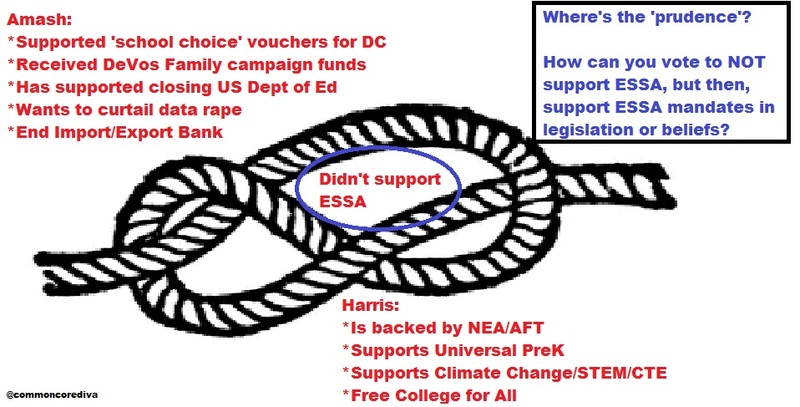 Let’s not forget, he did vote “yes” to ESSA. Warriors, I know there’s been lots of questions about Beto’s stance on charters. I can tell you that Reuters has recently published his past support for them could be trouble. However, as an Anti Fed Ed Warrior, you need to know the non-profit his wife heads (which ‘improves education’) is a partner with the Gates Foundation. 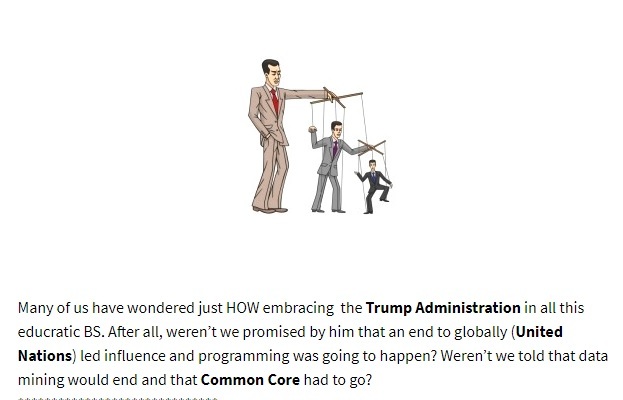 As far as the official O’Rourke for President campaign website, his education stance is pretty scary. Strengthening education unions will only breed more globalism! 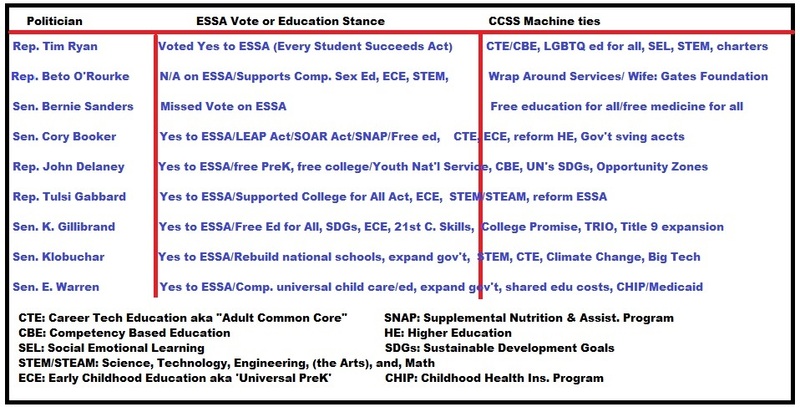 Warriors, if you’ve followed my blog for a while, you will know I’ve already connected Mr. Biden (while he was the Vice President) to the CCSS Machine. Times haven’t changed at all. To see the Biden Foundation information on education, go here. To see my articles on Biden, go here. According to The Hill, if Biden does run in 2020, he’ll be the guy to beat. Warriors, if you missed the Kerry/Bush debate on education, I’ve got it right here! Kerry was in full support of nationalized standards. That was while Kerry was a Senator. 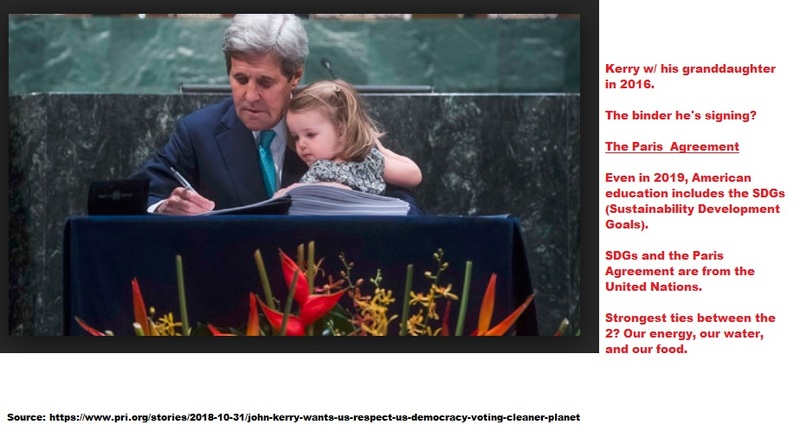 As the Secretary of State (State Dept., which is very much in the CCSS Machine/UN back pocket), Kerry’s getting us in the Paris Agreement (which has influenced education via climate change, even in 2019) was counted as one of his greatest accomplishments. The CCSS Machine’s money (as seen in Part One). Regardless of the Senate, the House, or former public service, the campaign dollars show us quite a bit. 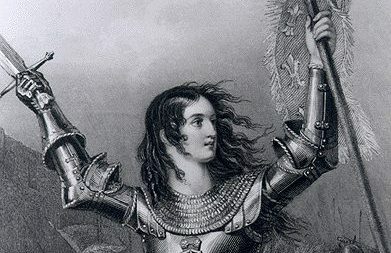 Warriors, use your prudence when looking at the other issues your candidate stands for. As we’ve seen from the Senators, the Representatives, the Vice President, and the Secretary, education connects to everything else. Warriors, in Part Three, I’ll be reviewing the Trump/Pence team’s actions in education. In Part Four, I’ll be exposing the State level politicians running for the Oval Office. Part Five, will conclude the series with private citizens running, as well as, other election information. Be watchful my followers, we’ve got much to do in the coming days. **This just in, Rep. Swalwell was reported in Part One as considering to run, he has since confirmed it.